The day before the shortest day of the year, and Seattle’s rain and cold seem to smoother all the warmth those sparse hours of daylight have to offer. But I’ve got places to go…going by bicycle. Time to pull the bill of my cap down and set my teeth as I grind away into the wet wind. I can’t say that I’m enjoying my current schedule, but I hate to think that I’m complaining all the time. But I am. 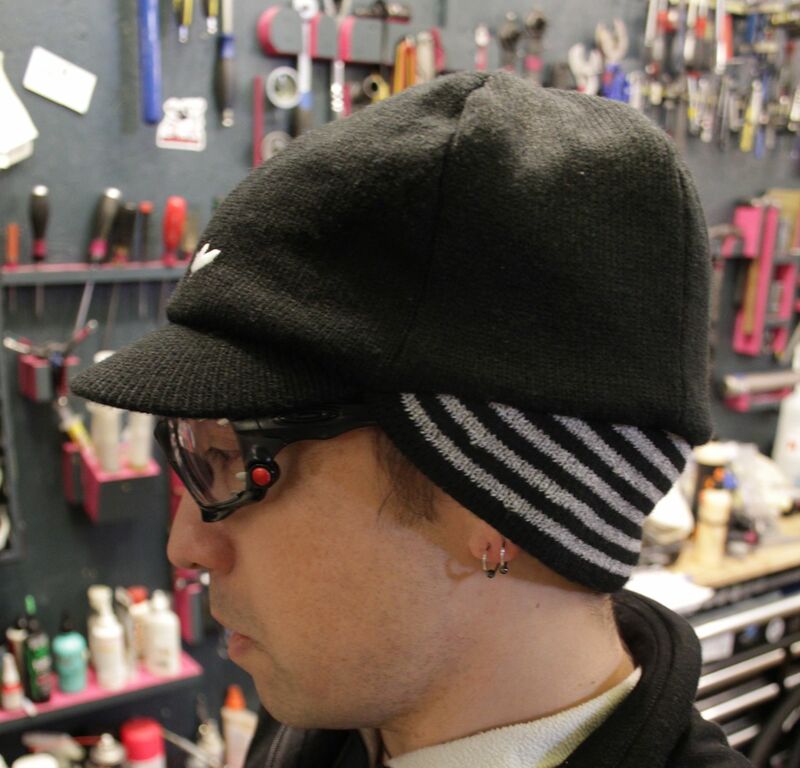 I should be at least thankful for the small comforts, such as this Sealskinz Belgian Style Cycling Cap. Sealskinz is a British company that specializes in hats, socks, and gloves to keep wet weather at bay. Their Belgian cap has a waterproof yet breathable membrane between the acrylic outer and polyester fleece inner layers. A knit rear flap protects the ears and nape of the neck; light reflective stripes are part of the knit pattern. 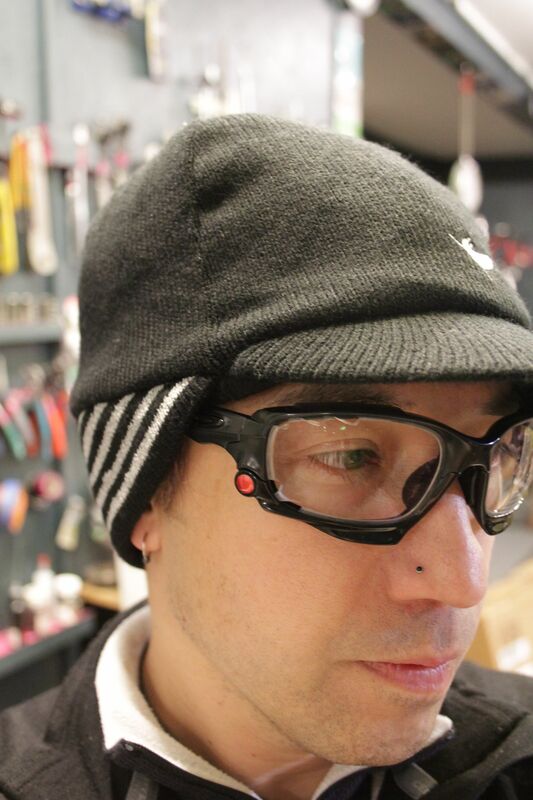 The Sealskinz cap is warm and utterly dry, but perhaps I can’t leave it be without just one complaint. Because of its construction, the cap ends up being a skosh bulky compared to the numerous single layer caps on the market. If you have a helmet that fits your meat globe particularly tight, this cap may be thick enough to prevent you from being able to comfortably fit the helmet over it. 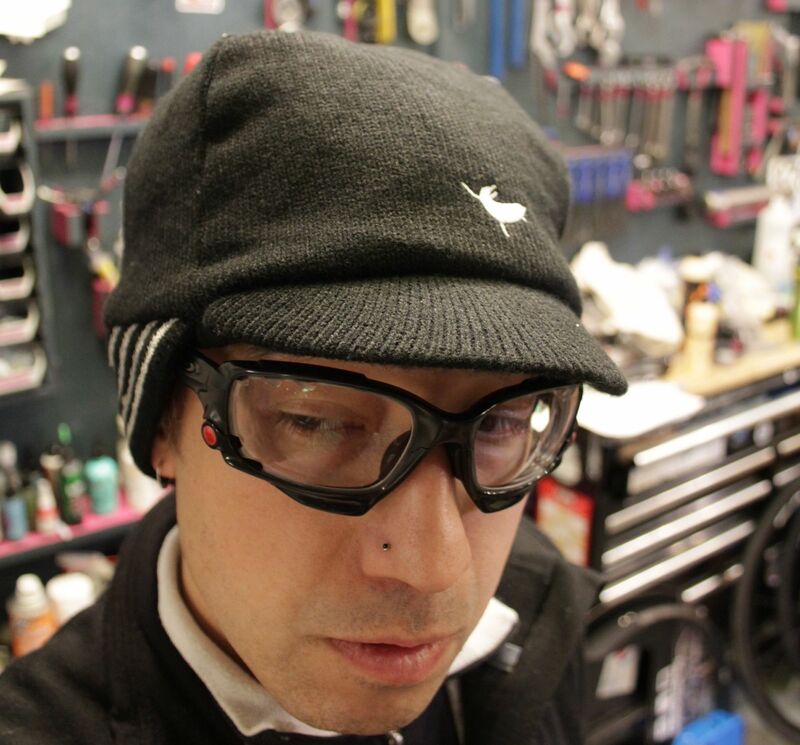 I own three different models of helmet, and I can only wear the Sealskinz cap under one of them.